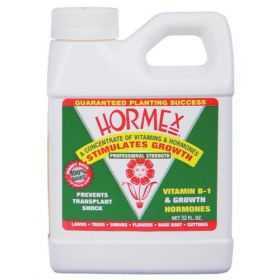 A vitamin, hormone concentrate and root growth stimulant. Hormex prevents transplant shock by stimulating growth of the small feeder roots, which become damaged during transplanting. For use on ornamental plants - do not use this product on plants intended for food or feed purposes.